Hakusan Shrine is well-known as a hydrangea shrine in Tokyo downtown. In July, about 3000 trees of hydrangea color the precinct beautifully. 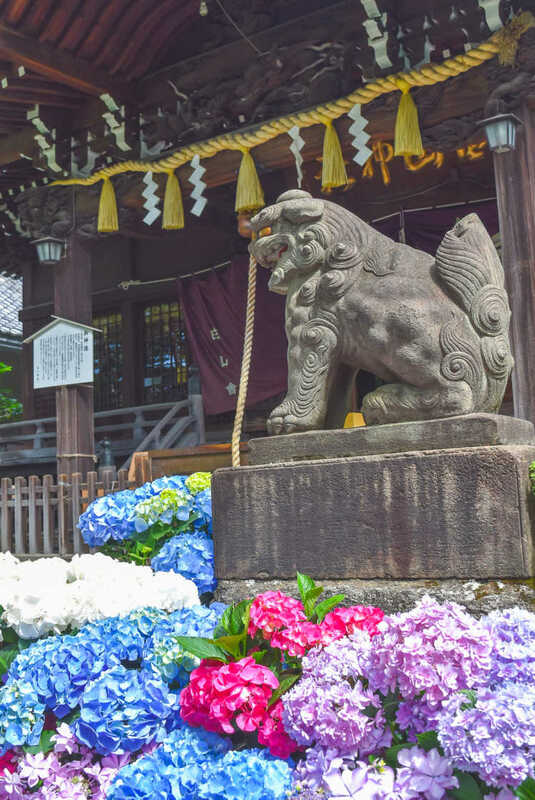 You must see the hydrangea-surrounding Komainu (a stone guardian dog)!